We love the Florida Everglades... Not long ago, we used to think this was just the place to see alligators and do an airboat tour, "the swamp" we used to call it. And when it's right there in your backyard, you tend to take it for granted. "When was the last time you were there?" friends from overseas asked, I couldn't remember, they were surprised, no, shocked is more like it, they would have been there every chance they could, they said. Visiting the Florida Everglades: Where to Begin? The Florida Everglades is a huge area, of which Everglades National Park is the most well-known part, but which accounts for only 20% of this massive region. Also part of the Everglades are many other National Parks and Preserves, such as Big Cypress National Preserve and the 10,000 Islands National Wildlife Refuge. The diversity of ecosystems and habitats is staggering. From salt and freshwater estuaries, to sawgrass marshes and wetlands, mangrove swamps and hardwood hammocks, they all provide unique habitats for an abundance of wildlife and plant species. Where to go and what to do will depend on what your interests are, how much time you have available and whether you have your own transportation or not. This last point is important because there is basically no public transportation options that will bring you to the Everglades, although now a FREE trolley provided by the City of Homestead shuttles weekend visitors to Everglades National Park and Biscayne National Park, but you still have to get to Homestead. For those without their own transportation, there is also a number of Everglades tours that will pick you up at your hotel in Miami or Ft. Lauderdale, and give an excellent overview of some of the highlights including airboat rides. 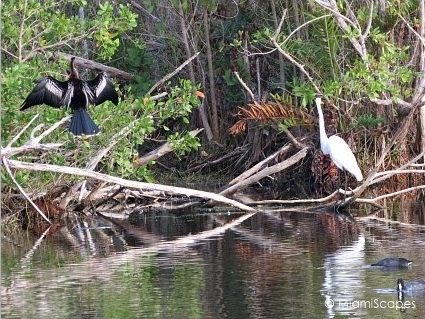 There is a wide range of things to do and ways to visit and experience the Everglades. There are four Visitor Centers at Everglades National Park and two at Big Cypress National Preserve where you find numerous walking trails for wildlife viewing, ranger-led talks and hikes, boat and tram tours, as well as canoe and kayak rentals. Besides the National Park Visitor Centers, there are many individual outfits that operate outside the park boundaries and provide a wealth of activities to enjoy the Everglades such as the airboat tours (which are not allowed within the Park), biking, canoeing, kayaking, fishing, etc. 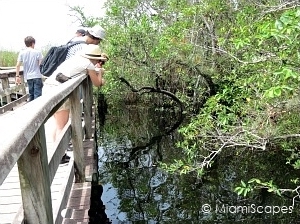 Wildlife watching is one of the main draws of the Everglades, what you will see depends on many factors such as the area, the time of the year, the time of the day even, ... and luck. Main thing to keep in mind is that this is NOT a zoo. Every visit will be different! Keeping your expectations in check is probably best to avoid dissapointment. 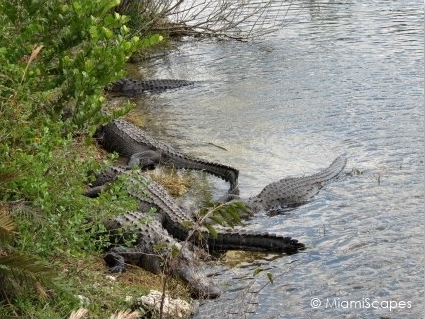 We have seen alligators by the hundreds one visit, then only a couple the next. Same place, different season. As a general rule, the best time to visit and see wildlife is in the dry months, that is basically Thanksgiving (end of November) to Easter (April - May). 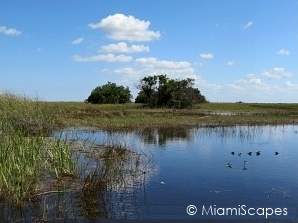 Everglades National Park is the gateway to the Everglades, follow the link for a quick orientation of the four main areas, entry points and activities at each location.